If you are of a certain age, you remember telephones with rotary dials and know what an exchange name was. I remember these Tulsa exchanges: Luther, Webster, Temple, Riverside, National, Madison and Cherry. There was also Hickory, Gibson, Diamond, Fillmore 5 and General - to name most of them. The first exchanges listed in the 1918 directory are Osage and Cedar. 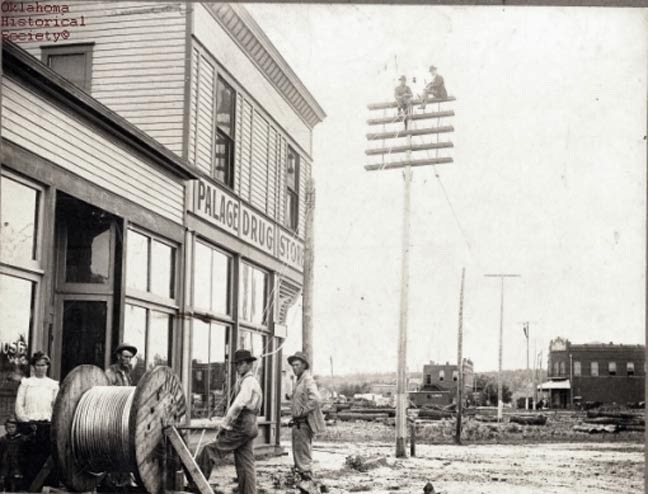 Tulsa went to all-dial equipment in 1924 when there were 24,300+ telephones in the booming city. 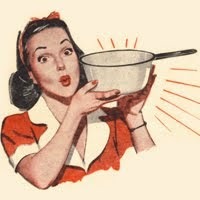 Before that, there were The Telephone Girls who would connect you via switchboard. 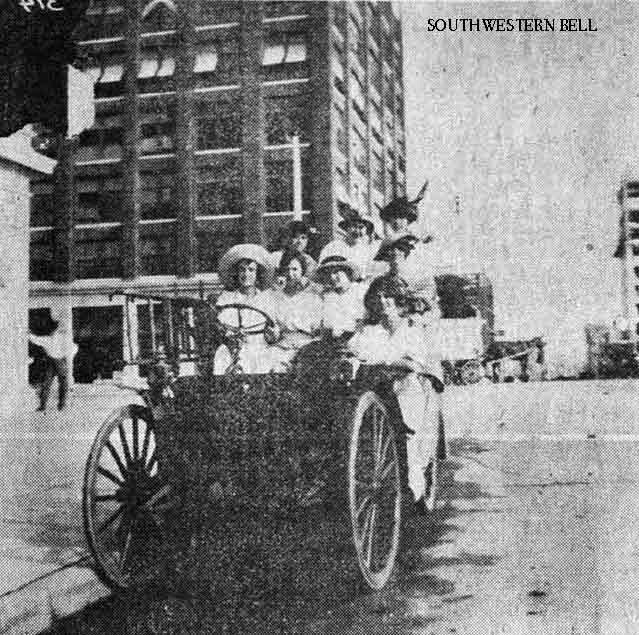 This group of Tulsa Telephone Girls are posing at the northeast corner of Third and Main Streets in 1913. Did you know that Indian Territory was among the first regions to be served by Alexander Graham Bell’s 1876 invention? The reason being that 1876 was the year of Custer’s Last Stand at Little Big Horn. The military was doing everything possible to improve it’s communications when the first telephone line (in what was to become Oklahoma) went into service between Fort Sill and Fort Reno in 1879. The military was concerned with the supervision of the Indian reservations in western Indian Territory. 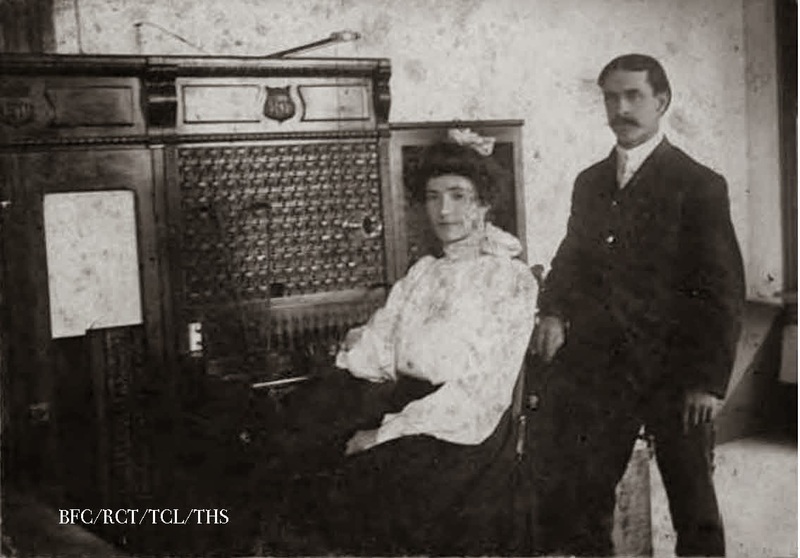 The Indians themselves financed and built the first commercial telephone line in I.T. back in 1886. It was installed between Tahlequah and Muskogee via Ft. Gibson by the Cherokees - to connect the Cherokees with the Five Civilized Tribes agency at Muskogee. 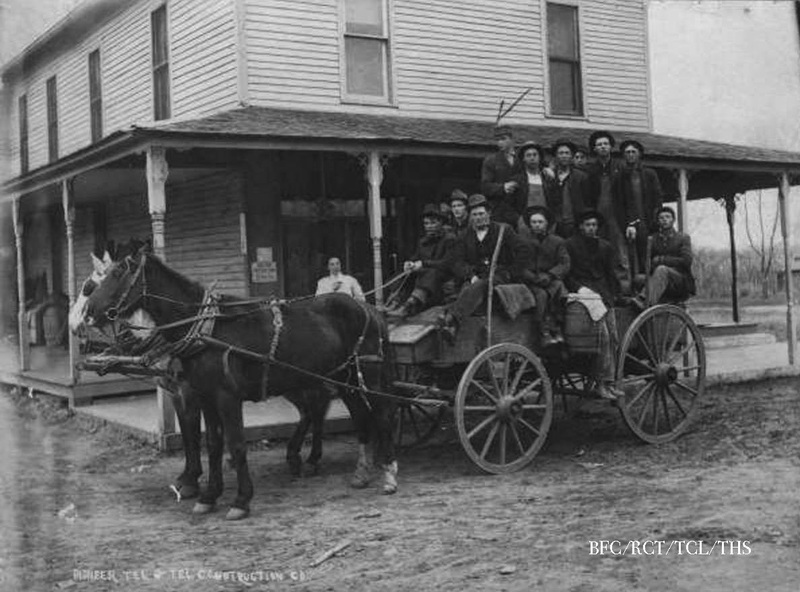 Tulsa service was begun in 1899 with an exchange that served some 80 subscribers by Robert H. Hall. His first central office was located on the second floor of a stone building on the northwest corner of First and Main Streets. The lines extended out a window to connect the switchboard with a pole outside. This is Mr. Hall and Mrs. McDowell in 1903. 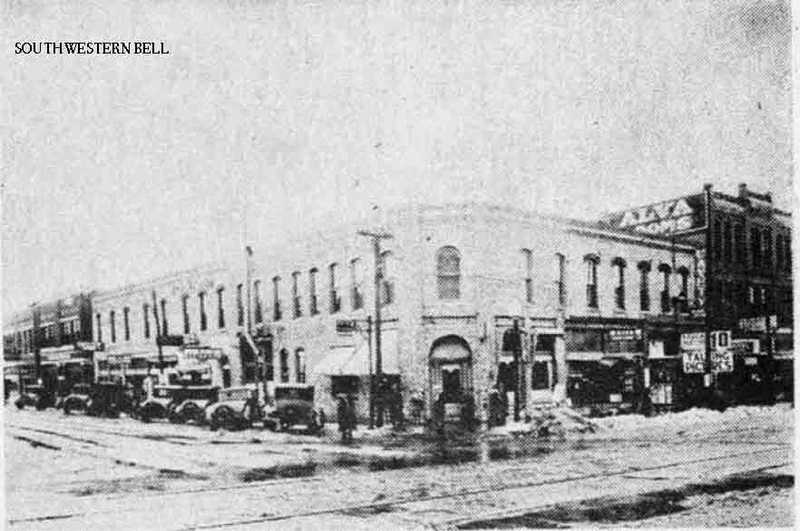 Hall sold his exchange on January 16, 1903 to the Indian Territory Telephone Company (out of Vinita) who was then purchased by Pioneer Co, predecessor in Oklahoma of Southwestern Bell, on July 8, 1904. There was a story told back in 1906 that if someone called for a taxi, the Telephone Girl would simply lean out of the window and shout to the drivers (of horse-drawn hacks) who were below. 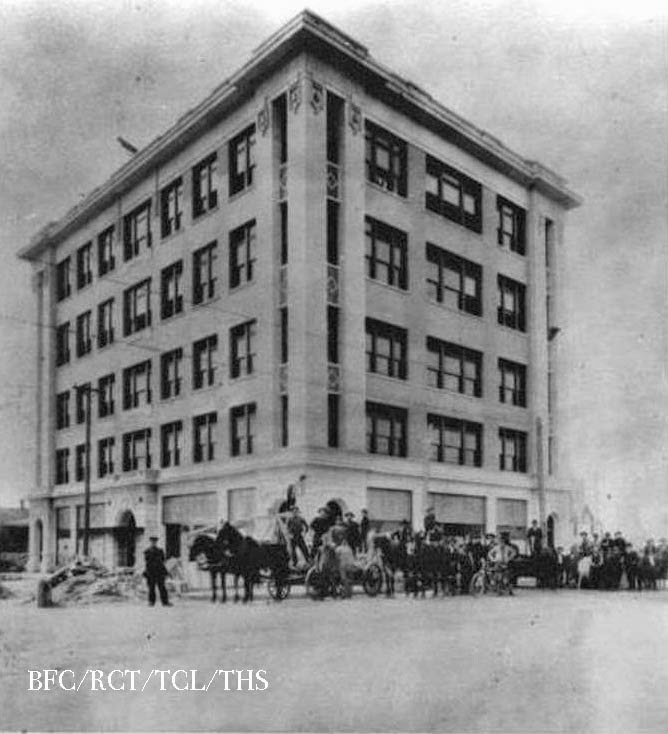 At that time, the telephone office was located on the second floor of the Bynum Building (NW corner of Main and Second) and there were 280 telephones in Tulsa. 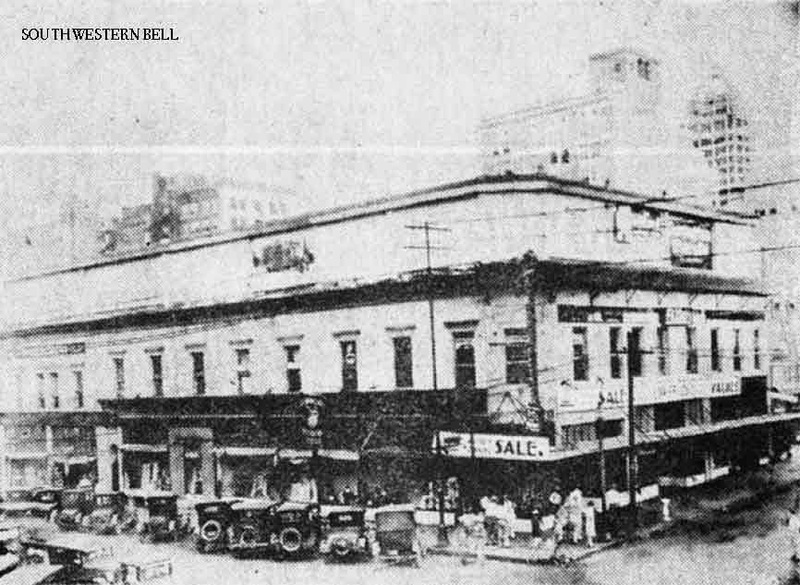 Soon Pioneer began construction of their own building on the southwest corner of Fourth and Boston, which was the former site of the First Presbyterian Church. The workers stayed at a nearby boarding house during that time. When the building was nearly done, they proudly posed in front of their work. 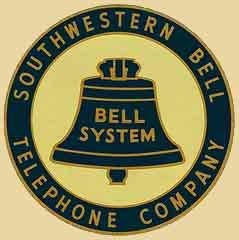 Southwestern Bell took over the system in 1917 and remained Tulsa’s phone service provider until the breakup of the company in 1984. 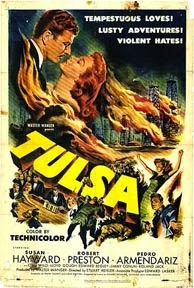 The Technicolor melodrama movie, “Tulsa”, was released 65 years ago this month. Its world premier was right here in downtown Tulsa and boy, was it a BIG deal. The stars of the movie, Robert Preston, Susan Hayward and Chill Wills- all flew in for the activities that were planned, namely the largest parade in the city’s history. 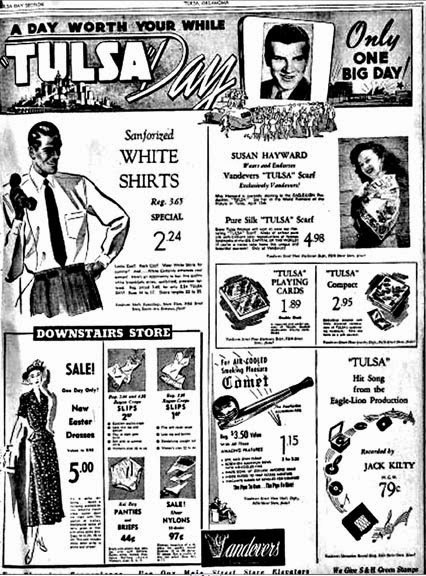 Then-governor Roy J. Turner proclaimed April 13, 1949 as “Tulsa Day” in which downtown shops had Tulsa Day Sales. 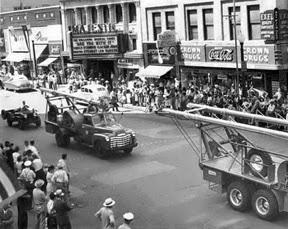 Children were let out of school to attend the mammoth parade which, along with the stars, included miles and miles of oilfield equipment. A full-size portable drilling rig was set up in front of the Orpheum. Crowd number was estimated at 100,000. 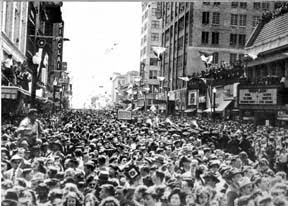 Can you imagine that many people downtown today? 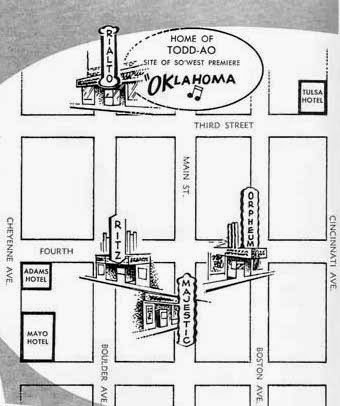 The premier was scheduled to be shown only at the Ritz and Orpheum theaters but with those tickets selling out in minutes, Tulsa’s other two premier theaters- the Majestic and Rialto- were also opened for ticket sales and seats filled immediately. This presented a problem because there were only the movie reels for two theaters to show the film. So this happened: The film was started first at the Orpheum and the Ritz while the stars toured the stages of the other two movie houses to keep the audiences from getting too restless. Thirty minutes later, the first reel was then delivered from the Orpheum to the Majestic and from the Ritz to the Rialto, and so it went the rest of the evening. Nine years later city planners were trying to incorporate the Urban Renewal phase that was growing with some of those earlier suggestions from 1959. 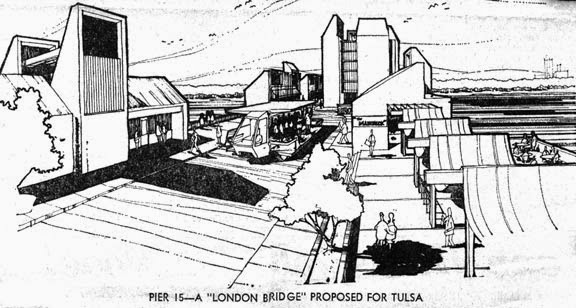 As always, the Arkansas River and the possibilities of what could be done in and around it have been in the forefront of Tulsa developers minds. In 1968 a plan was unveiled that aimed to "bring the romance of a river or bay city to the prairies." It was named Pier 15 and once again my imagination was ignited.